Welcome back to another edition of Field of View, our weekly look at all the goings on in the world of virtual of augmented reality. Plus a heaping helping of recommendations. This week, we explored whether it'll be possible to find love in virtual reality, and speaking of love, if you're not sure whether you'll dig Microsoft HoloLens, the company is now allowing its AR headset to be rented out for a bit. HTC is out and about, beefing up its Viveport subscription service with freebies and talking about how it won't make Vive exclusives (In other news, Vive Studios' Knockout League is headed to PlayStation VR). But that's not all that happened this week. Take a look below for even more good alternative reality goodness. PlayStation VR is the best selling VR system in the game right now thanks to its more affordable price, good ecosystem of games and lower barrier to entry (got a PS4? You're good). Those advantages have weakened a bit as Oculus has lowered the price of the Rift and debuted some good exclusive content. Now Sony is striking back with a temporary new price: $199. If you don't want a standalone PSVR, there are also a couple of bundles. There's a Doom VFR bundle, which also comes with a PS Camera and the 2.0 Demo Disc, for $299.99 (regular price $399.99). If that's too fast paced for you, there's a Skyrim bundle that comes with a PS Camera and two Move controllers for $349.99 (regular price $449.99). If you're interested, better get your credit card ready because these deals only last from 18 February to 3 March. VR filmmaking seems to have hit a turning point at this past Sundance Film Festival, and the momentum is continuing. From Dusk til Dawn and Sin City director Robert Rodriguez will team up with Michelle Rodriguez for a VR series called The Limit, from the new VR arm of STX Entertainment, who you may know from films like Bad Moms and Edge of Seventeen. Michelle Rodriguez plays a woman that was genetically enhanced to be a weapon of mass destruction, and she's on a revenge mission to take down the covert group that created her. The show was apparently created entirely for VR. You can expect to watch The Limit on STX's new VR channel Surreal, which will debut sometime in mid 2018. VR opens up the potential to take in information in a whole new, more visceral way. Microsoft and Virgin Galactic have teamed up to create a new website, best compatible with Microsoft's Edge browser, that has built-in VR to showcase, well, your future space flight. 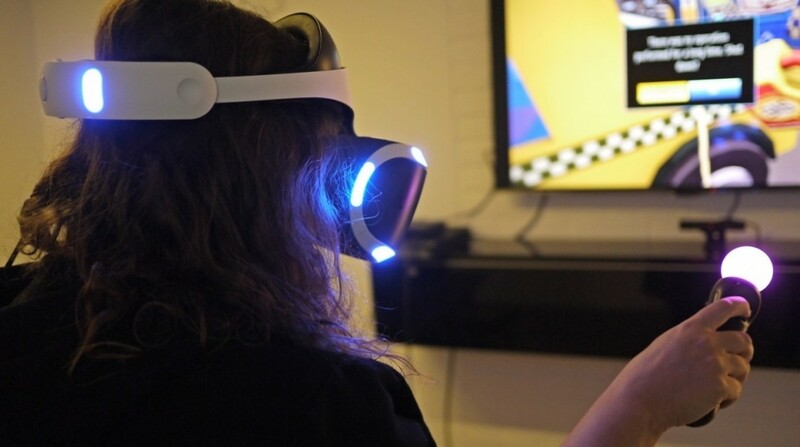 The website is built using WebVR, a standard that allows for virtual reality experiences right from inside a web browser, making it easier for people to experience VR content. You'll get a VR tour of the WhiteKnightTwo mothership, the VSS Unity and meet with members of the Virgin Galactic team. The experience is intended for Edge and Microsoft Mixed Reality headsets. The NBA has taken to connected tech in the past, but its new initiative may be its boldest. It previously announced that it was teaming up with Intel and TNT to showcase NBA games in VR, allowing users to choose their own camera angles. The app for Gear VR and Daydream View is officially launching on 16 February, and your VR NBA goodness will officially start on 18 February with the All-Star Game. After that, you'll get one full NBA game in VR every week. You'll get to hop in the action from TNT's famous J Studio. Planet Earth II has already blown us away on TV, but the series is now jumping to VR with Life in VR. A collaboration between studio Preloaded, BBC and Google, the experience starts you off in the Californian Pacific Coast. From there, you'll get to directly visit ecosystems and see how animals and plants interact with each other. Large parts of Life in VR are passive, but there'll be moments where you'll get to interact with what you're viewing. The best part? It's available for free on Google Play for Google Daydream.